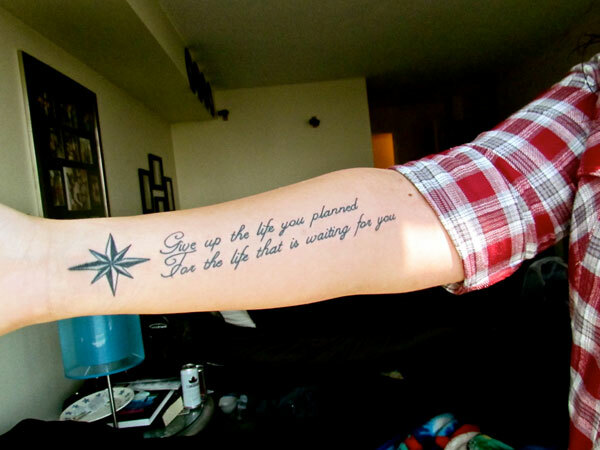 Searching for understanding of just exactly where we are in life both literally and figuratively is a theme that unites us as a human race, and a question that has been attempted by everyone from philosophers, theologians, to the bums that most of us are fortunate enough to have to step over on the street for thousands of years. 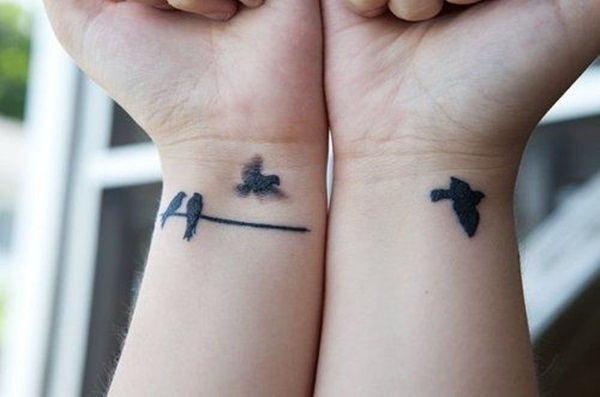 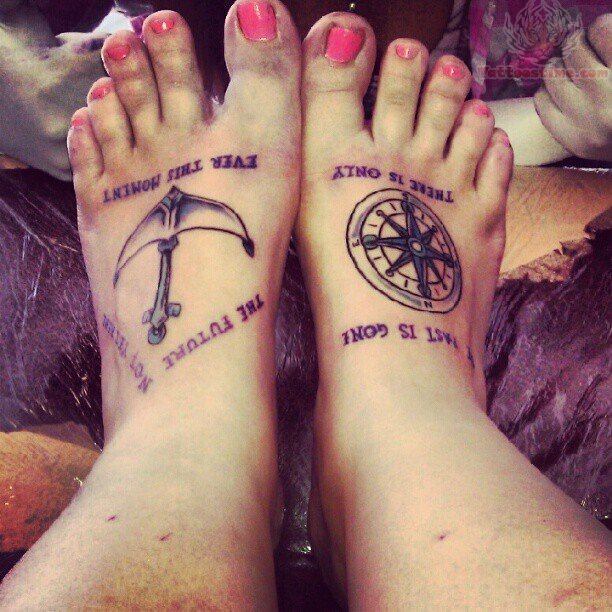 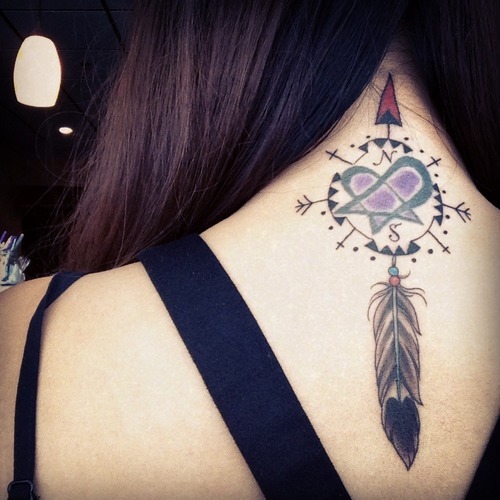 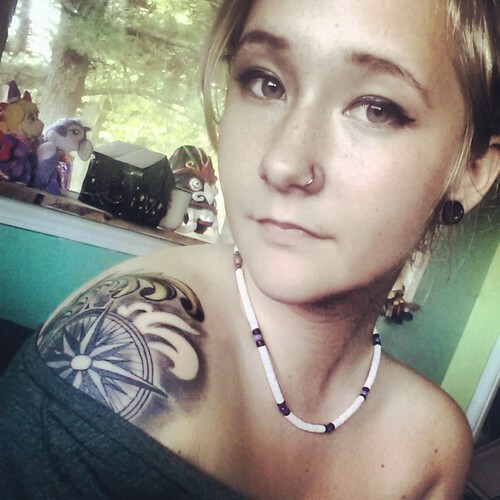 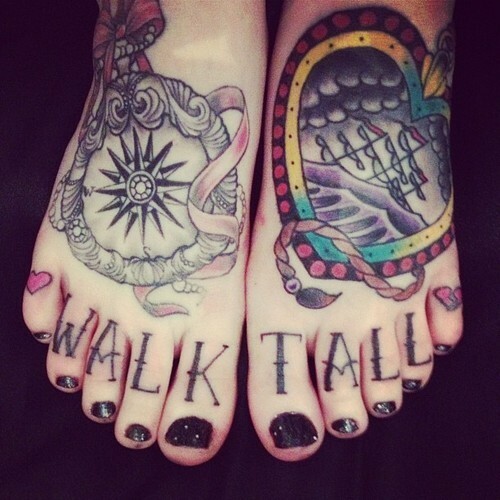 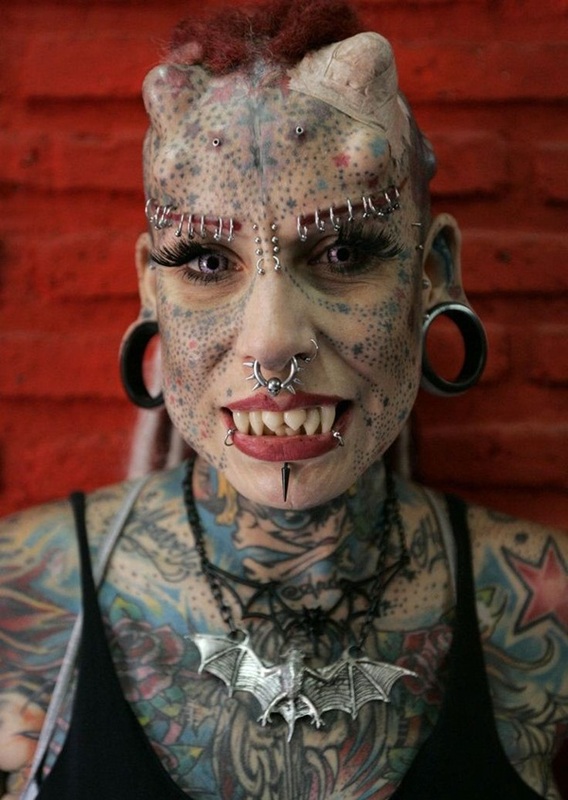 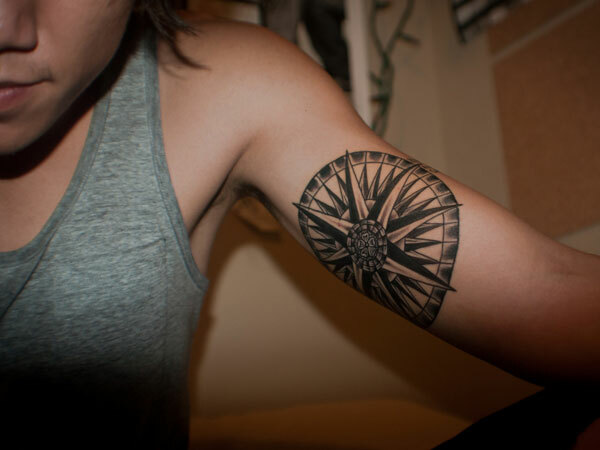 We contemplate this through our art, literature – and even our tattoos. 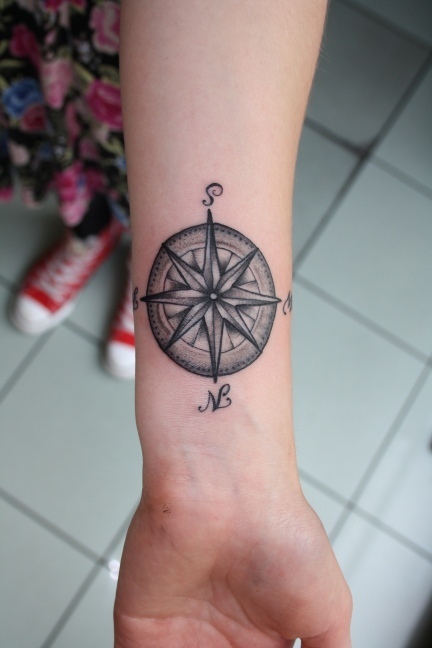 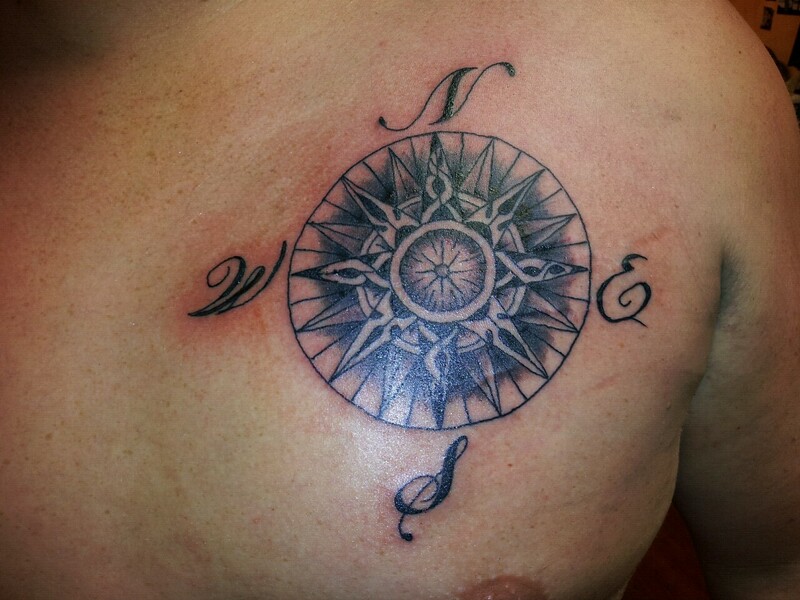 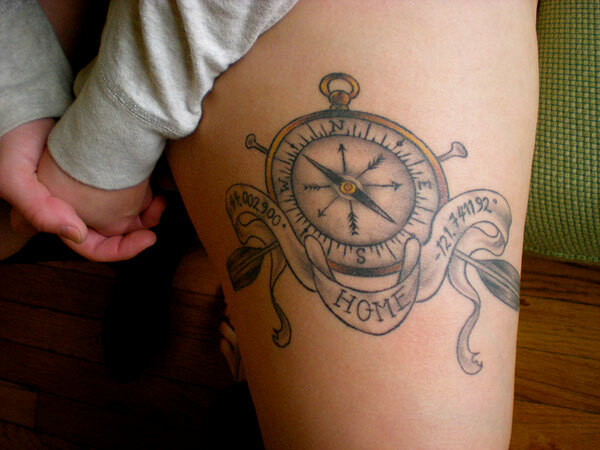 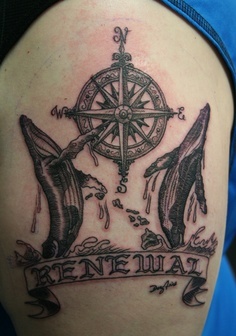 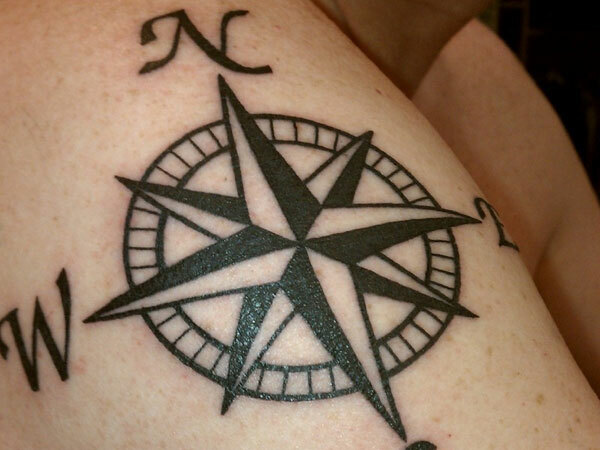 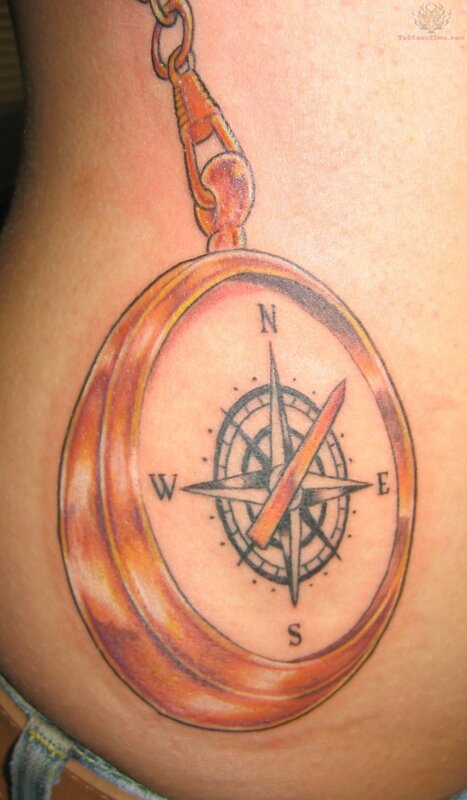 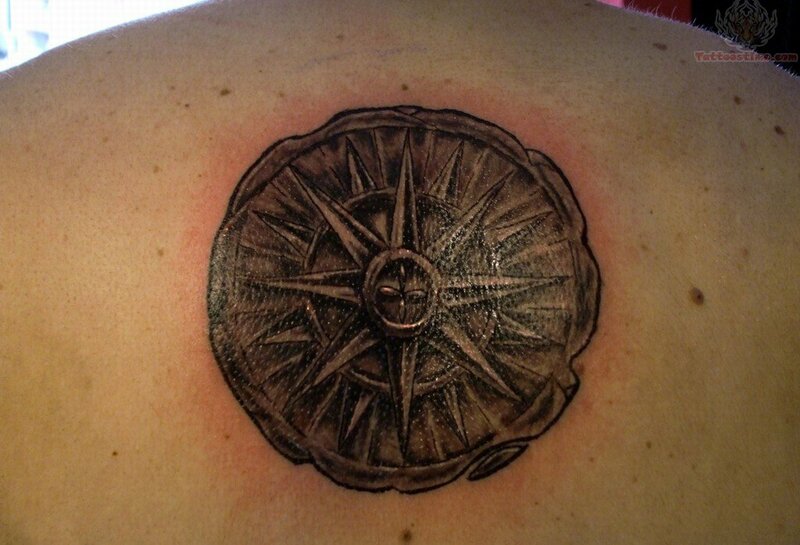 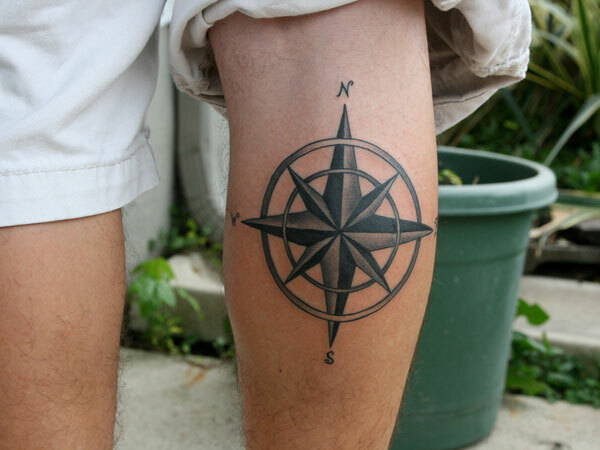 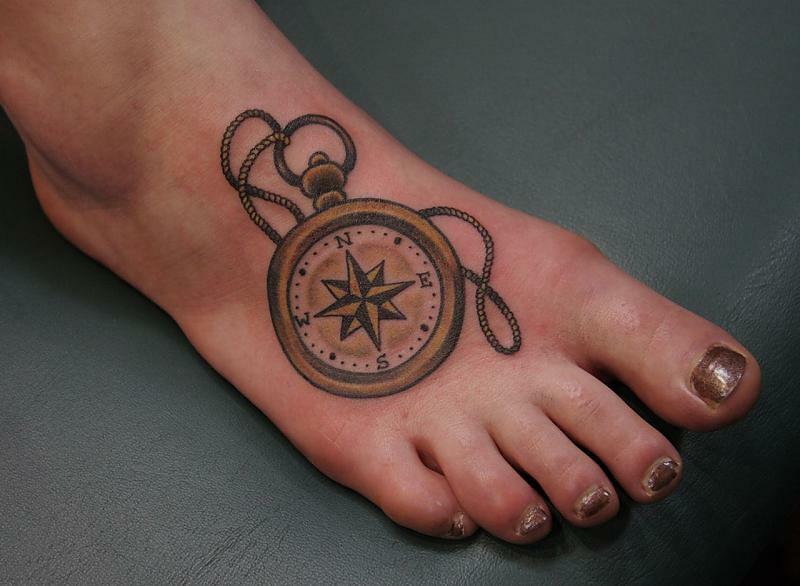 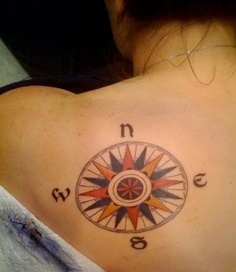 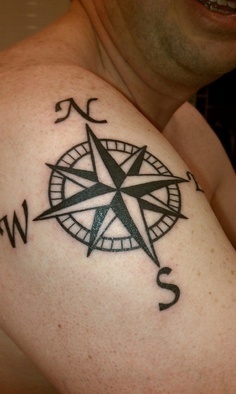 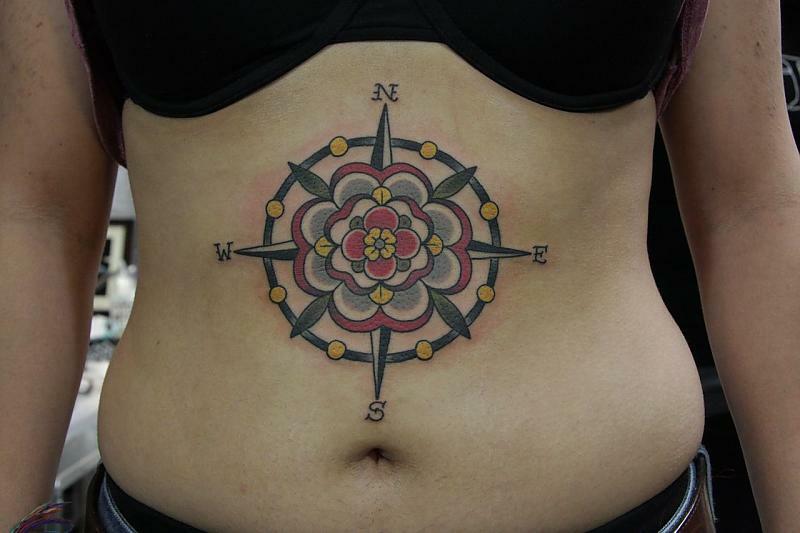 The compass tattoo has its beginnings in the ocean, where people who involve themselves with a maritime career and/or way of life. 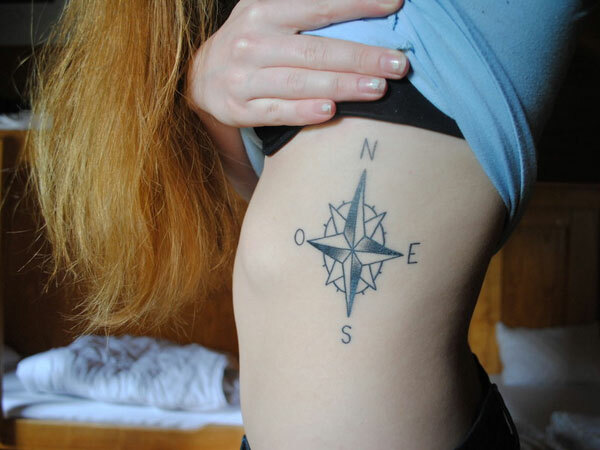 The first documented people who sought this tattoo were Spanish sailors, and from there it has gained popularity across many different areas and cultures across the world. 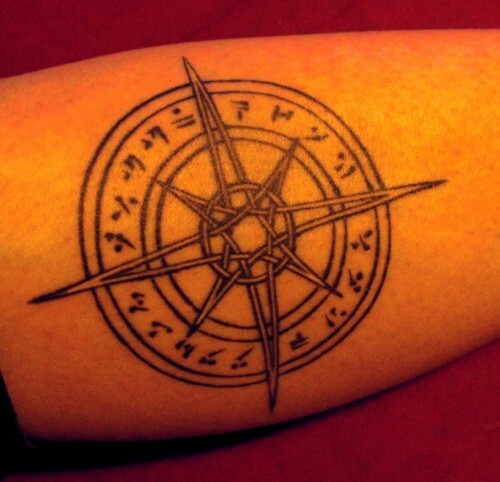 The compass is not only a vital tool for those needing to navigate the uncertain waters, but also it is the preferred necessity in any tool bag for those planning to brave any territory not previously mapped out and marked with directional signage. 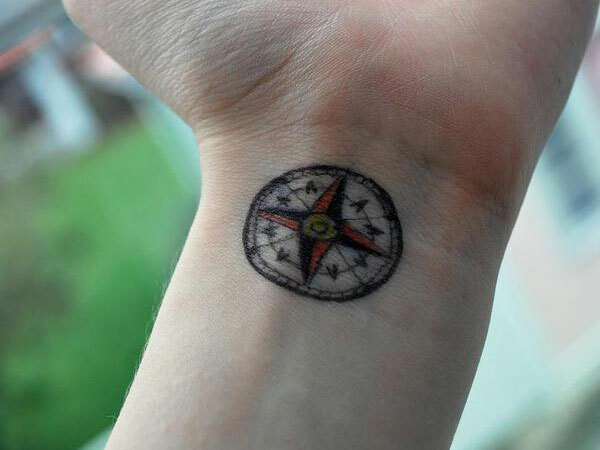 The compass is chosen as a necessity even above food supplies – one can always forage or hunt, but if you lose your way, you will quickly find yourself in danger. 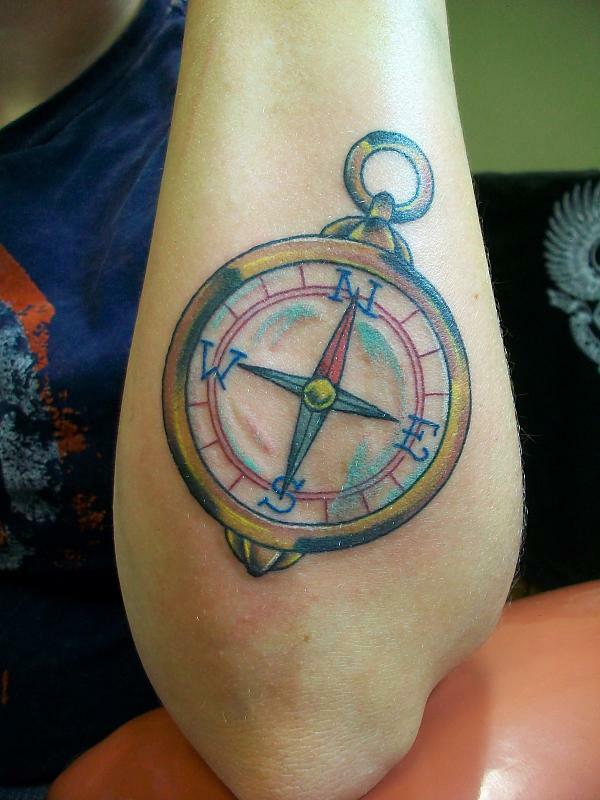 Classic compass design – This is the most popular style, and is particularly popular among those serving in the armed forces, where it is worn as a reminder of the importance of staying safe and smart in order to return home. 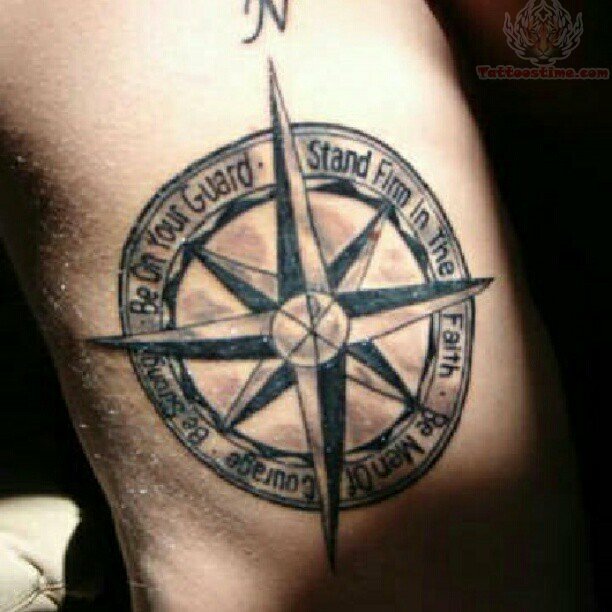 It can also symbolize anything from guidance, security/protection, finding your way amongst ‘rough waters’, and/or that our direction in life is forever elusive. 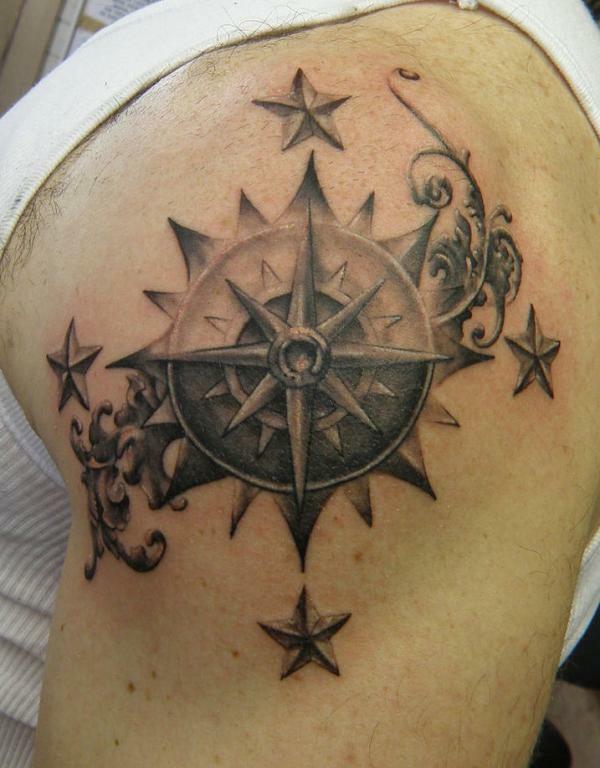 This design may also be combined with different images in the middle, such as a star or nautical star, a prismatic design, and might be combined with other images such as a map, clock or watch, flowers, ropes, an anchor, a mermaid, or other nautically associated items in a larger design. 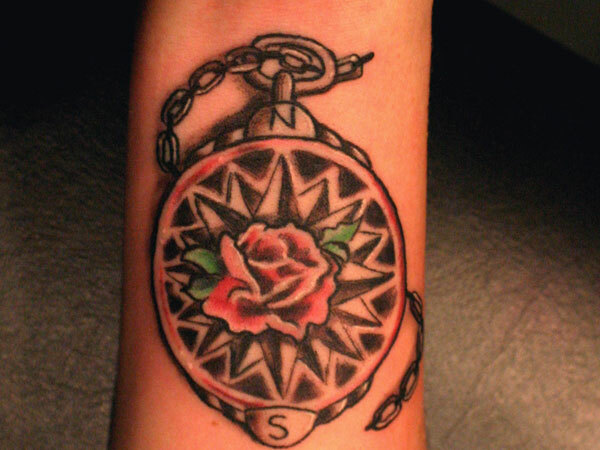 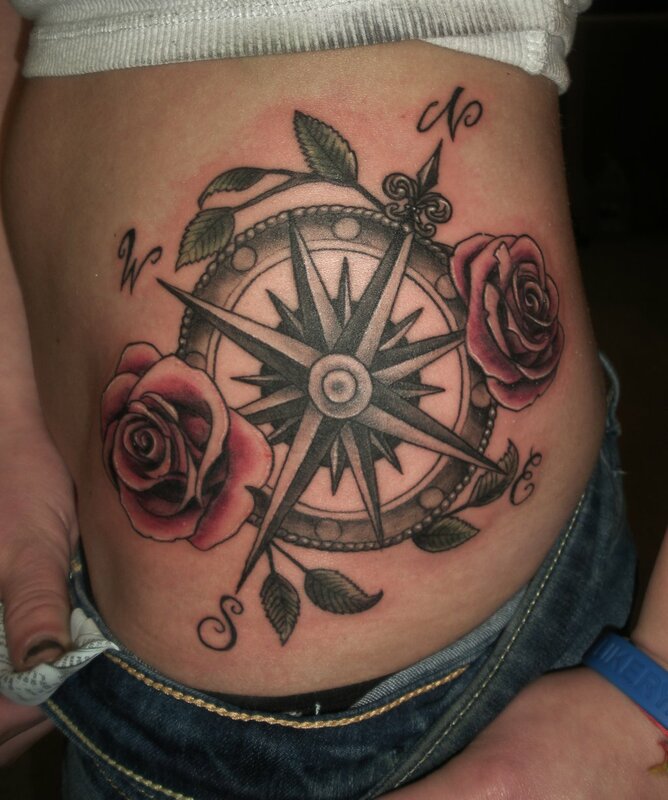 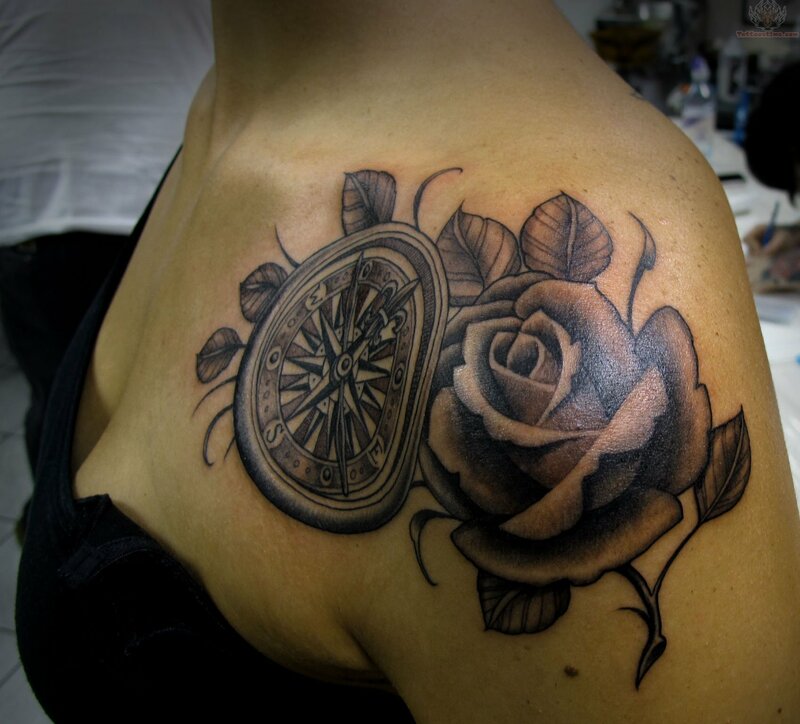 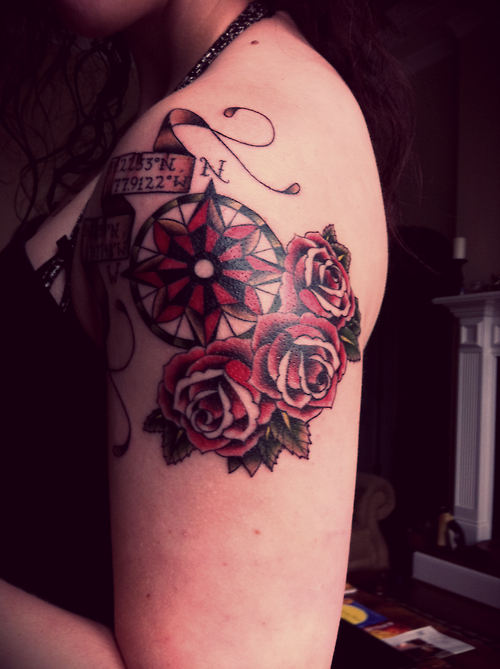 Rose compass – This design is fairly straightforward, featuring a compass that has a rose sprouting from the area where the directional readout piece of the compass would be. 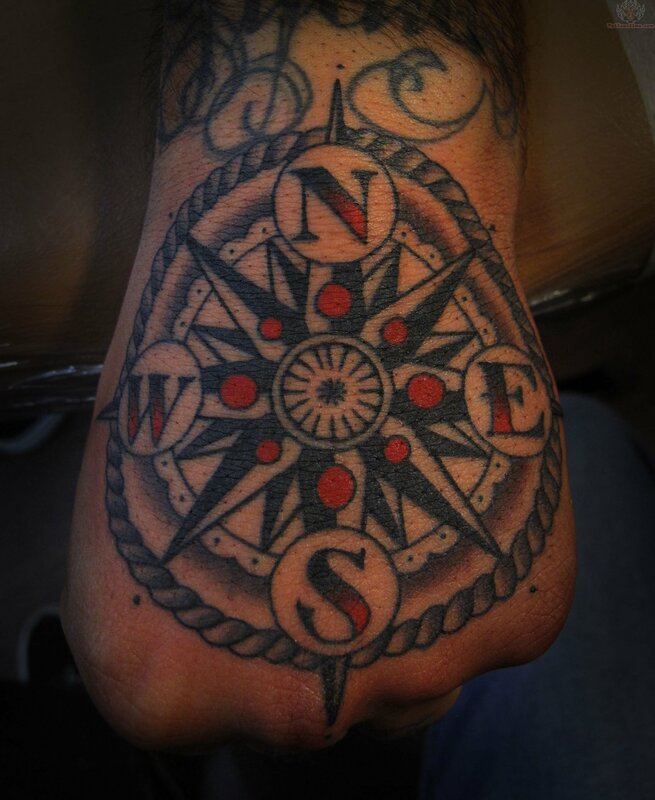 This adds the additional meaning of ‘good sense of direction in life’, or may just be chosen for the design aesthetic itself. 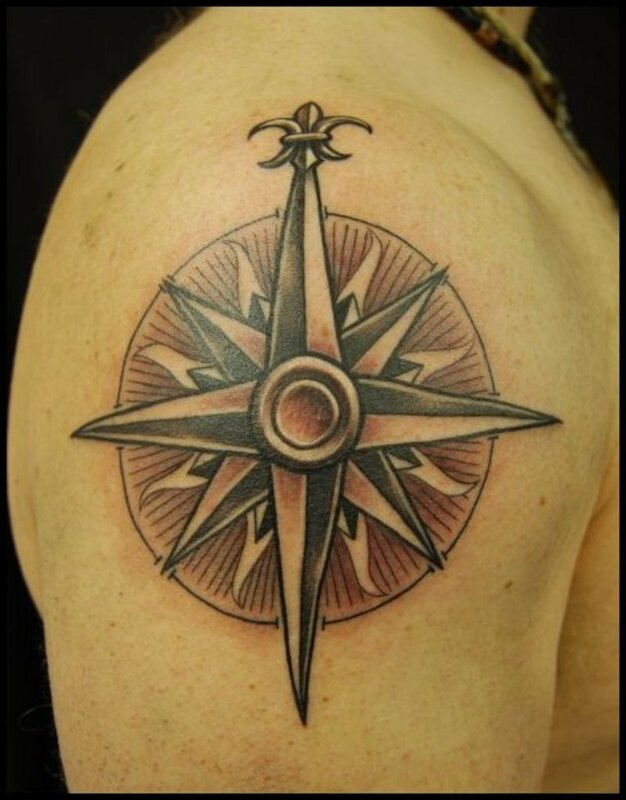 Whether or not you love spending time on the water, the compass tattoo is a great addition to any tattoo collection and a great way to bring history and a classic touch to your ink!